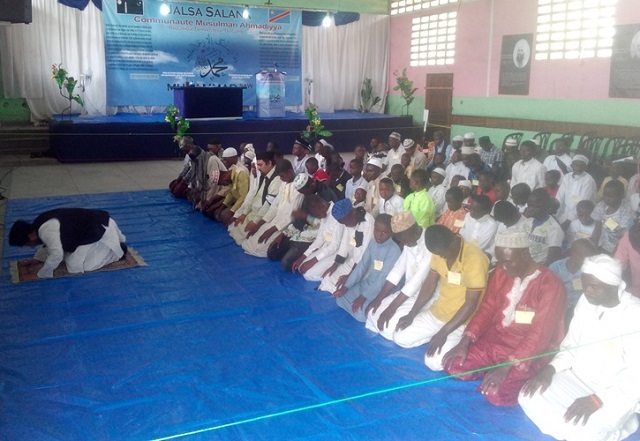 The annual conference for 2018 in Kinshasa was held on the theme "Character of the Prophet Muhammad" and aimed to bring the Ahmadis to please God, following the example of the founder of their religion, Islam. The Ahmadiyya Muslim Community in Congo (Comaco) held on July 8, in the Don Bosco hall in Masina, 2018 Annual Conference for the city province of Kinshasa, the 21 th Jalsa Salana. 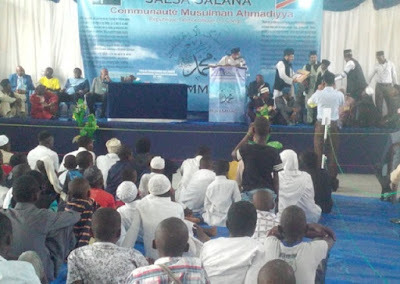 For the official representative and chief missionary of Comaco, Amir Jama'at Khalid Mahmood said that the objective pursued in the organization of these conferences remains the improvement of the spiritual state of the Muslims members of this community as well as all the people invited to these meetings. The founder of the community asked to organize, he explained, such conferences in which topics are discussed about what the character and behavior of the members should be. "We think that saying that I am a Muslim is not enough. 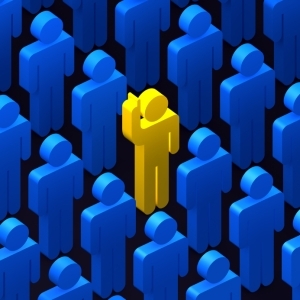 It is necessary that in his character, in his behavior, one can show the example of being a good Muslim, in accordance with the holy Koran and the recommendations of the prophet Muhammad ", said the Amir Jama'at. During the 21 th Jalsa salana which brought together members of the community, the Ahmadi Muslims, as well as guests, all developed speeches were centered on the character of a good Muslim. Among the topics developed were "Holy prophet: mercy for humanity", "Islam and peace", "Example of the prophet, a good husband", "Treatment of the holy prophet against his enemies", etc. Relying on the behavior of the holy prophet of Islam, Mahommet, all these interventions called on the Ahmadi Muslims to improve their spiritual state, seeking to please God by drawing inspiration from the example of the founder of their religion. "We must conform our lives to that of the holy prophet, as it has been described to us," advised the legal representative and chief missionary of Comaco. These interventions also emphasized that Islam preaches peace in the world. It is therefore in response to this recommendation of the Qur'an that the Ahmadiyya Muslim Community, one of the most active and well-established Muslim communities in the world and whose motto is " Peace for all, hate against no one ", is working to contribute to to find peace in the world. "The Community seeks to establish peace in the world by transmitting the message of peace"explained one speaker, noting that to arrive at this peace, the whole world must return to its creator. According to him, everyone in his heart must banish hatred for the sake of love. So he warned that there will never be peace if man does not really want to follow the path to peace. In this perspective of peace, it was recalled that a Muslim could not soil the honor of his religion. The Qur'an notes, for this purpose, that a Muslim could not do evil by his tongue or by his hands. This brings the Muslims members of the Ahmadiyya community to say that their community has come to restore Islam, by putting back the true meaning of this religion, as it strives to give the true teachings left by the holy prophet Muhammad . For the Ahmadis, indeed, their community, founded by God himself, is different from the other communities of Islam that are the fruits of the work of men. It is here that they find the foundation of the mission given to each Ahmadi to teach Islam throughout the world. "Today, all over the world, Islam is known as a religion of terrorism, of strength and of certain acts that destroy the name of Islam and the founder of this religion, the holy prophet Muhammad, while neither in Islam nor in the life of the prophet, these kinds of acts are permitted. This is why we believe that Ahmadiyya is the restoration of Islam, it is the rebirth of Islam. It is to give back the true face that was in the time of the prophet Muhammad ... ", said Amir Jama'at Khalid Mahmood, insisting on the change of behavior of Ahmadis and indicating that terrorism, jihadism , etc., are not recommended by the Qur'an. God, he said, has restored Islam by the Ahmadiyya Islamic Community, which is showing the true face of Islam. During this conference, Comaco honored children from the community who were distinguished in their schooling for the 2017-2018 school year. Gifts were given to each of them. Nearly fifteen Ahmadis, girls and boys, benefited from these gratuities. For Amir Jama'at, who personally gave these gifts to beneficiaries, this gesture of the community aims to stimulate young Ahmadis to engage in education.